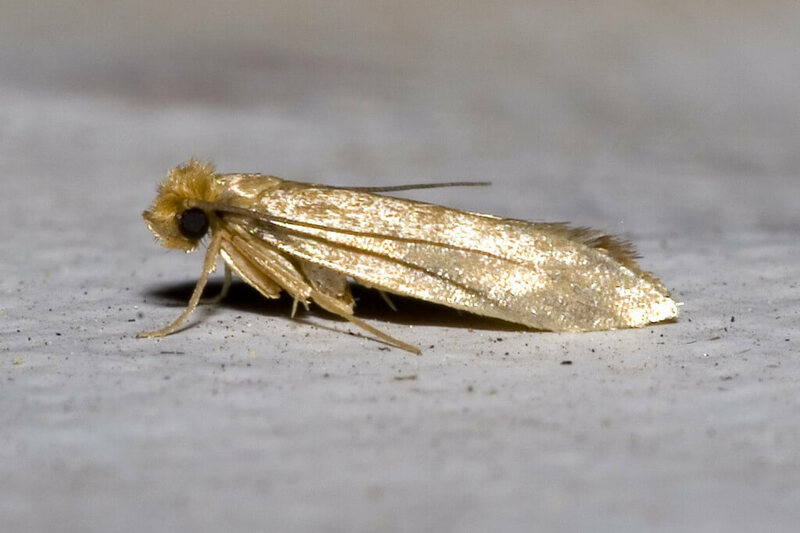 Has your Bristol-based commercial property got a moth infestation issue? We will help you identify and remove your moth insect pest problem from your workplace. Moths breed fast in the Bristol commercial building, enjoying the humid temperatures brought in by the nearby Bristol coast. With a lifecycle of around 3 months, they lay a cluster of 30-200 eggs that can stick to almost any surface. They do this 3 times during their brief lifespan. After 4-10 days tiny caterpillars emerge from the eggs, that are almost invisible to the naked eye. These moth caterpillars are the major moth pest to our workplaces and textiles, eating everything from natural materials made from wool, feathers, fur and hair. Soft furnishing items from carpets, rugs, cushions, curtains, jumpers, coats and so on are not safe from the moth pest. 3 primary moths exist to cause problems in the Bristol area. Flour moths, White Shouldered House moths and the Brown House moth. You can normally spot the adult moths walking or flying around the room. If they are there then the edges of your carpets are likely to harbour huge numbers of eggs and caterpillars. Food can also be contaminated from moths. What can we do to prevent or control your moth pest infestation problem around your commercial property? The first thing a person who has a Bristol moth infestation should be doing is maintaining a thorough vacuuming regime. Moths hide in carpets and along wall skirting boards around the workplace, so be sure to get into all those areas. Dry cleaning will remove the moths from your clothes, as will excessive heat and cold. But to achieve the temperatures required to remove the moth pest and its larvae, is often quite difficult. Using amateur products can sometimes slow an infestation but rarely remove the moth problem. We will deliver a swift, preventative moth removal treatment with professional products that are safe to pets, pregnant women, children and babies.